If you grew up watching Pixar movies with your dad, you can now celebrate together by hanging out with your favorite Pixar characters. This year’s Disney Vacation Club Member Father’s Day Lunch is inspired by Pixar Fest happening at Disneyland Resort. At the Grand Californian Hotel & Spa, the made-for-Members lunch will include Pixar-themed games and activities, arts and crafts, photo locations, and meet-and-greets with Pixar characters. Tables will be set for parties as large as 16 people. 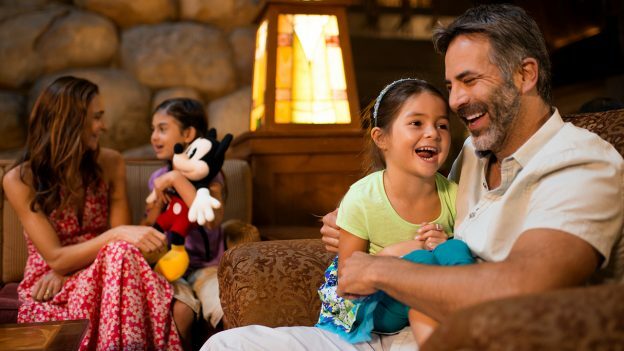 The full payment of $53.95, plus tax, for each guest 10 and older, or $29.95, plus tax, for ages 3-9, is due at time of booking with a credit card guarantee. Cancellations must me made at least 48 hours in advance to avoid surrounding the full payment. This is presented as part of Membership Magic and will be in the Hotel’s Sequoia Ballroom on June 17th, from 12-2 p.m. Call Member Services for reservations.